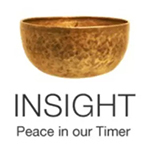 Please join me whether you are an ongoing member of the group or completely new to the group, and even to meditation. Upcoming guest teaching dates to be determined. Here’s a link to Stephanie’s most recent talk at Marin Sangha.